With the Zoho Office Suite, organizations get many of the standard productivity options that come with other Microsoft Office alternatives -- with a few distinguishing functions and features. 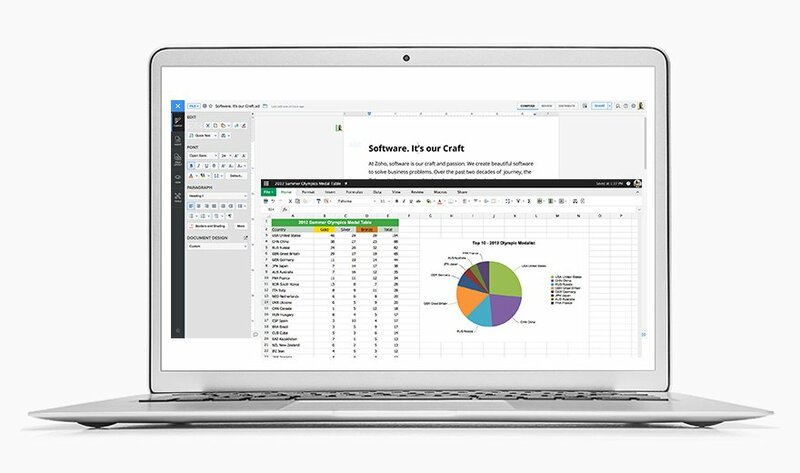 A word processor, spreadsheet editor, presentation application and mail client are the central tools that make up the Zoho Office Suite. Each one features common file compatibilities that Microsoft Office also uses, such as .doc, .docx and .html for text files, but nothing particularly advanced. Zoho also includes a customer relationship management (CRM) tool that an organization's sales department can use to communicate with customers, track sales leads, manage outstanding bills and perform other operations. With the help of AI, Zoho CRM's sales assistant, called Zia, helps users search through the CRM tool's database, run calculations and more. Another unique aspect of the Zoho Office Suite is Zoho Creator, which allows IT pros to create a custom application for data collection, storage and management. The flexibility of this feature allows skilled IT pros to create a database workflow that matches their organization's needs. IT can sort data, as well as customize fields, reports and automated actions. The final licensing cost depends on which apps an organization requires. Access to each application costs a few dollars, so the cost per user can range dramatically from less than $10 to more than $30 on a monthly basis. How can organizations take advantage of Zoho Creator?